This product is expected to ship on Thursday, April 25 if you place your order within the next 11 hours and 33 minutes. 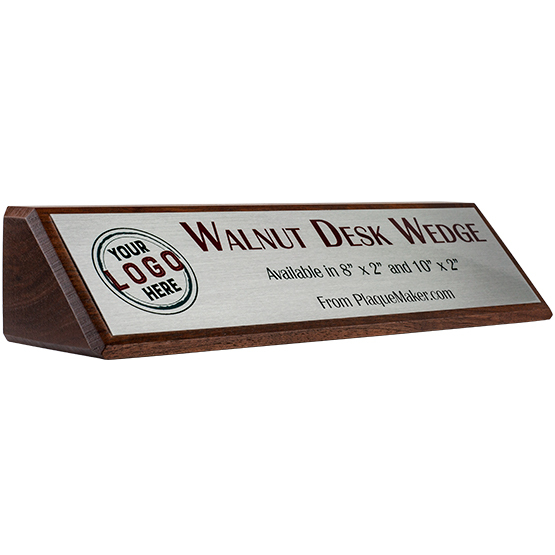 Create personalized walnut wood wedge desk name plates at PlaqueMaker. Our custom desk plates will look fantastic on in your office or home. Whether you need one or five-thousand, we can accommodate your needs. Material: Included - silver, gold, or white aluminum. Upgrades - black metal with gold, black metal with silver, blue marble metal, brass, bronze, copper, stainless steel, or titanium. Desk wedge - walnut. Thickness: Aluminum - 1/32". 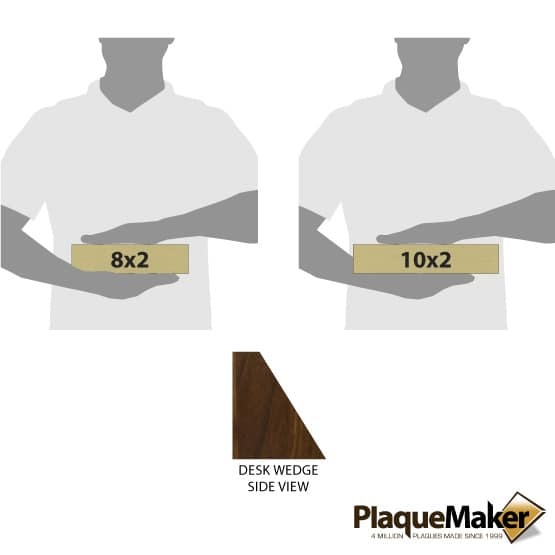 Wedge - 2 3/8"
Production Style: Sublimated (silver, gold, or white aluminum) - full color ink heat pressed into the metal. We cannot print in white. Production style for upgraded metals will vary. For more information on production styles, check out our FAQ page. Production Time: 2 business days following proof approval for most orders. Proof will be received the next business day. 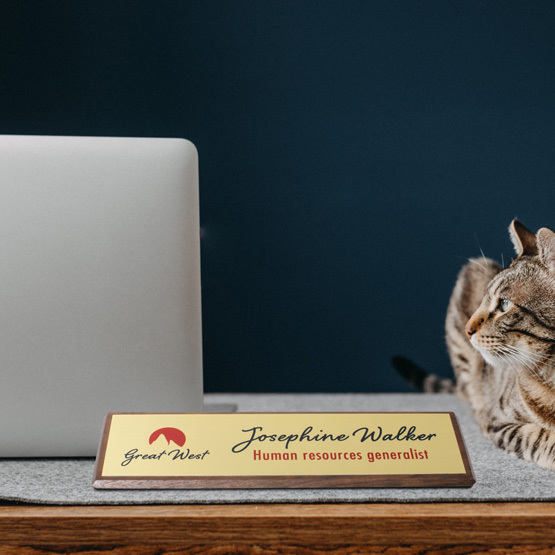 The walnut name desk plaque was a great hit! The logo came out awesome and the timeliness for delivery was super! I will definitely order something again in the future and recommend this website to others. I was thoroughly impressed by the quality and detail of the plaque. Good purchase! Plaque looks great and the uploaded personal design came out perfect! It looks and feels nice. The piece of wood is nice and solid. Really like it. Good customer service.